So, our De Staat concert turned out to be in the bar of the Depot, not in the concert hall itself. This awesome rock band sells out big concert halls in Holland and played at Glastonbury, so it must be weird for them to be back to little bars. Fortunately, they took their big stage equipment and the sound was crystal clear, none of those fuzzy bar acoustics. De Staat, as far as I know, is basically Torre Florim’s one-man project. This dramatically sells short the rest of the band, and especially the guitar player Vedran Mircetic who is really, really excellent and brings all of the quality guitar lines that make their songs so goddamn catchy. Torre is a good frontman who brings a ton of energy and a sardonically imperious attitude that fits their ballsy music. Oh man, that music. Our friend described it as “Trash-metal meets fair-music”. It’s a terrible description, but he’s not utterly wrong. De Staat brings a lot of violent noise wrapped in catchy, catchy tunes that you can grove to on first hearing. This combination is incredibly hard to resist, and it didn’t take long for De Staat to win the crowd over. (Flemish crowd, though, so by “winning over” I mean a few people danced and one guy may have hooted). They had a funny way of playing their songs with a lot of fake endings and reverb at the end, making it hard to know when to applaud. “Thanks for your applause, now we’ll go ahead and finish the song”, Torre said at some point. It was like being at the opera all over again. The entire show built up to Witch Doctor and the circle pit that – mythically – comes with it. Sadly, the venue was just far, far to small for such extravagances and we contented ourself with pogo’ing around in limited (but far safer) ecstasy. One guy did try to initiate a circle pit by pushing me sideways into some guy’s beer, so I still felt suitably dirty and transgressive. Geschreven door First Row Seats en gepost op 9 maart 2016 onder Muziek. Deze post werd getagd met De Staat, het depot. Comments Off on De Staat @ Het Depot op dit artikel. 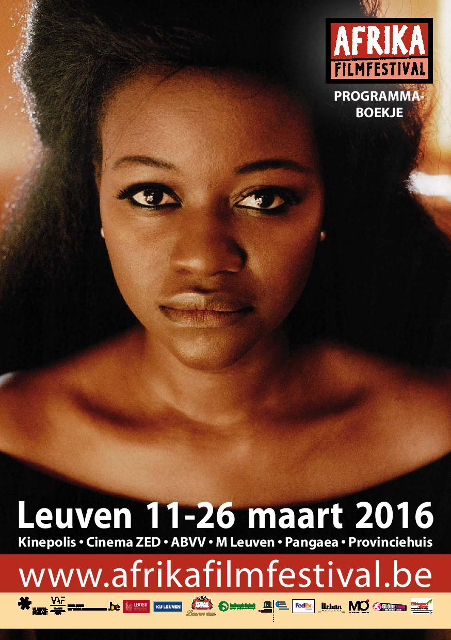 Van vrijdag 11 tot zaterdag 26 maart 2016 vindt de 21ste editie van het Afrika Filmfestival plaats in Leuven. Zoals elk jaar kan je je weer verwachten aan zo’n honderd films, tal van activiteiten en internationale gasten. Het Afrika Filmfestival is een van de belangrijkste festivals van Afrikaanse films in Europa. Het is de bedoeling meer Afrikaanse films te vertonen in de bioscopen en andere media. Verder wil het AFF het publiek confronteren met nuancerende beelden van Afrika in al zijn aspecten. Geschreven door Dries Verachtert en gepost op 9 maart 2016 onder Festival, Film. Deze post werd getagd met afrika filmfestival. Comments Off on Afrika Filmfestival van 11 tot 26 maart op dit artikel.